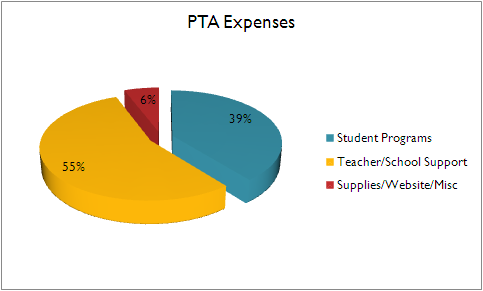 The Westbriar PTA is very busy all year long with a wide variety of programs, activities, staff support functions, outreach programs and more. Here is just a snapshot of what we do and what your membership dues support. You DO make a difference! We use your membership money not only to help support the PTA on a state and national level but also right here in Westbriar to provide our students with beneficial programs, educational assemblies and field trips, state of the art equipment for the classrooms, teaching supplies for every classroom and more. A portion of your dues ($1.75) that support the state and national PTA enables you to take advantage of parenting resources, advocacy and training. Remember, as a Westbriar PTA member, you are automatically a member of the state and national PTA.